By Irisa Leverette, Contributing BloggerWe are happy to introduce our new guest blogger and “Warrior Mom” Irisa Leverette! Irisa resides in NJ and has an 8 year old son Darius. At 3 years old, Darius was diagnosed with Autism. In the monthly blog series, Irisa will be sharing what life is like as she and her husband raise Darius. As I was preparing to write this second blog post, I was wondering, what from my “Autism World” should I write about? My mind was deluged with so many ideas; I thought my head was going to explode. 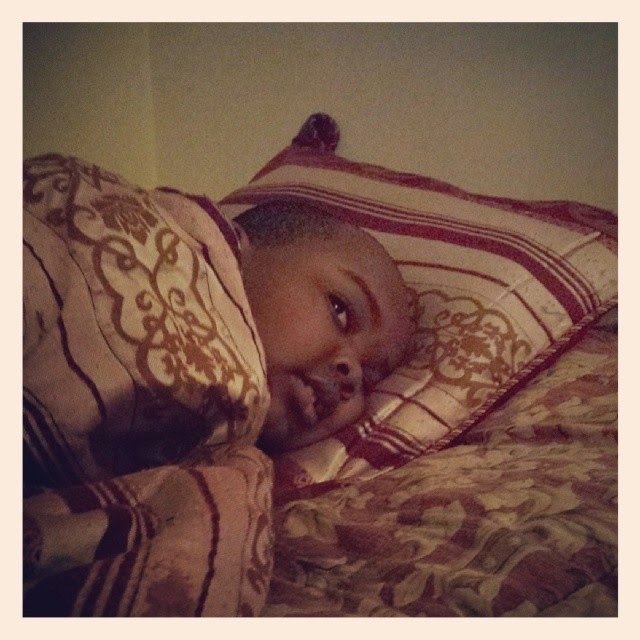 When Darius was diagnosed as a toddler, I did not understand Autism. I ruminated about this disorder that had taken me to an unfamiliar place. I had to get answers. So, I grabbed my mouse and began surfing the web. The internet was an emporium for articles and real life stories about Autism. These articles were helpful; however, experience has been my real teacher. One of the most exhausting things that I have experienced is sleep deprivation. It came as a package deal with Autism. I thought my sleep deprived days were over when Darius was no longer an infant. For years, sleep deprivation completely debilitated me. I never knew what time we were going to bed. My internal clock was in constant conflict with my external clock. I ran on Darius’ time. We had an unofficial midnight routine in place. Either we were waking after midnight or going to bed after midnight. For some reason, I was able to handle going to bed late but being woken up in the middle of the night was a nightmare. I had this kid that was full of steam, blasting music, dancing and singing. If you were to peek in our window, you would think it was 12PM instead of 12AM. There were times I almost dozed off. It is very easy to do when you are not the one partying. To keep from falling asleep, I would do housework, grade papers, and prepare his lunch for school. I had to do something to solve our sleep problem. Sleep is very important for a growing child. Plus, I needed adequate sleep to take care of him. I decided to develop a pre-bedtime routine. Each night at 9pm, I give him a bath. He loves water. He splashes water everywhere and I am usually soaked and wet when it is over. After his bath, we brush his teeth. By the time we are finished, toothpaste is all over the sink and half of his teeth are cleaned. Finally, he lies in bed listening to music or watching a video on his tablet. He falls asleep about 30 to 40 minutes later. This routine has been a lifesaver for us. It has cut our sleepless nights down to about three a month. As a write this, it is close to midnight. I am waiting for Darius to fall asleep. Tonight, after his bath, he was chugging around like Thomas the Tank Engine. You would think that he had skittles for dinner. He still wanted to party like a rock star. Now, he is watching Barney on Youtube and not dancing around the room. Once in awhile, Autism wins. No matter how challenging it is, I don’t deter from his bedtime routine not even on weekends or holidays. Routines are hard to get started but easily broken. Hopefully, Darius will fall asleep soon.